When you were naming your cat, you probably didn’t consider your feline friend’s hearing range. 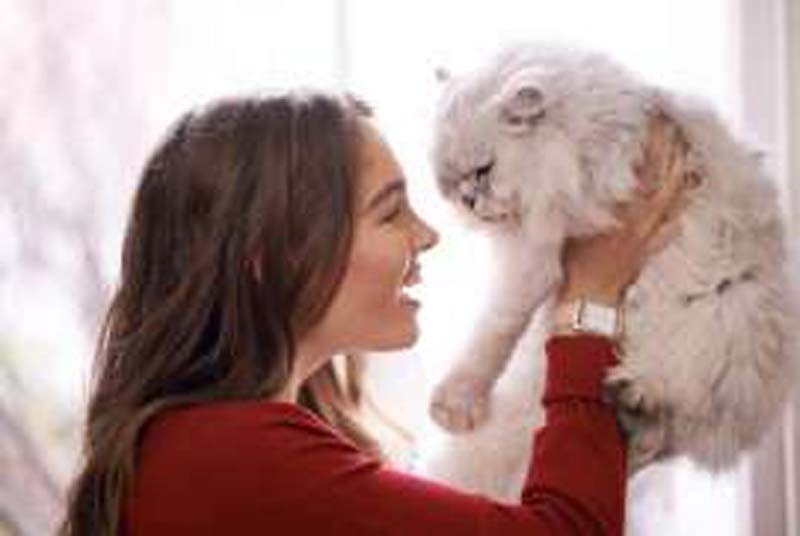 But according to Vancouver, Canada-based veterinarian Uri Burstyn, you probably should have—at least if you want your cat to pay attention when you talk to it. According to Dr. Uri, the name he goes by in his adorable YouTube videos, Felix isn’t a great cat name. Nor is Garfield. But Fluffy? A great choice. Cat ears are finely attuned to high-pitched noises. Since most of their prey communicate at high frequencies—think mouse squeaks and bird chirps—cats are not as good at hearing low-frequency sounds. Ideally, you want your cat’s name to end in a high frequency, since that’s the kind of sound cats hear best and naturally pay attention to. For human speech, that basically means that it should end in an “eeeee” sound rather than a consonant. Grumpy Cat? A bad name. Just “Grumpy?” Perfect. That's why "kitty kitty" works pretty well to get a cat to pay attention or come toward you. It's a squeaky sound. Luckily, many nicknames in English tend to end in an ie or a y, so you probably already have a cat-friendly name for your pet waiting in the wings. Now you know why your cat is more likely to respond to your high-pitched, baby-voiced nicknames than its full name. Enjoy Dr. Uri's explanation, and his helpful demonstration with his noble friend Lancelot, in the video below.